Tech4Learning is proud to announce the release of Frames 6, an upgrade to their award-winning animation and digital storytelling software. Updates to the Pixie and Wixie app include ePub export and more! If you have been using the Pixie by Tech4Learning app or Wixie app on your iPad, Android tablet, or Kindle Fire HD, you may have seen the recent update notification. 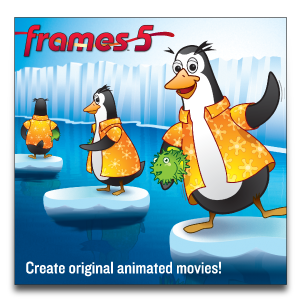 Tech4Learning has released Frames 5, an upgrade to their award-winning Frames animation and digital storytelling software. Frames makes it easy for anyone to create cartoons, stop-motion, claymation, and digital stories. With version 5, users can now capture of images for time-lapse, path animate frame objects, easily match frame duration to audio, collaborate on projects in real-time, and much more.